Impressive SX4 but looks need a bit work done now! Maruti Suzuki has been into business since a long time now. I have been a true follower of Maruti Suzuki. Its cars likes Maruti 800, Alto, Swift, Swift Dzire and SX4 have been my favorites. But now it has been time that Maruti Suzuki should give Maruti SX4 a makeover in terms of its exteriors and looks. My cousin has a Maruti SX4 ZDI Leather, which is undoubtedly equipped with almost every comfort features that you could expect from a premium Maruti Sedan. The car has got air conditioning system with heater, comfortable seats upholstered in leather, power steering, power windows (front and rear), cup holders (front and rear), CD player and what not. The safety department of the car is also well-equipped with ABS, airbags and central locking system. But with so much of competition in the market with cars like Hyundai Verna Fluidic, Toyota Etios and more, it is very important for the firm to give Maruti SX4 a makeover in terms of its exteriors. 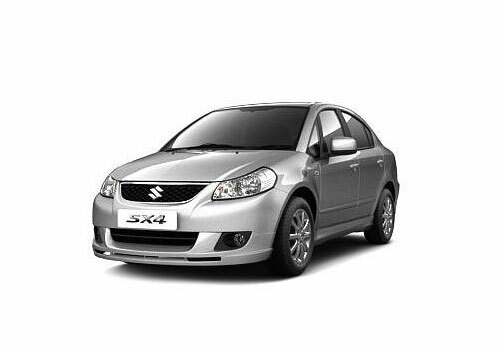 The Maruti SX4 is offered best safety features.